Written by Clients in Action on September 13, 2017 . Posted in Play. 2016 was a challenging year for the Walker family. 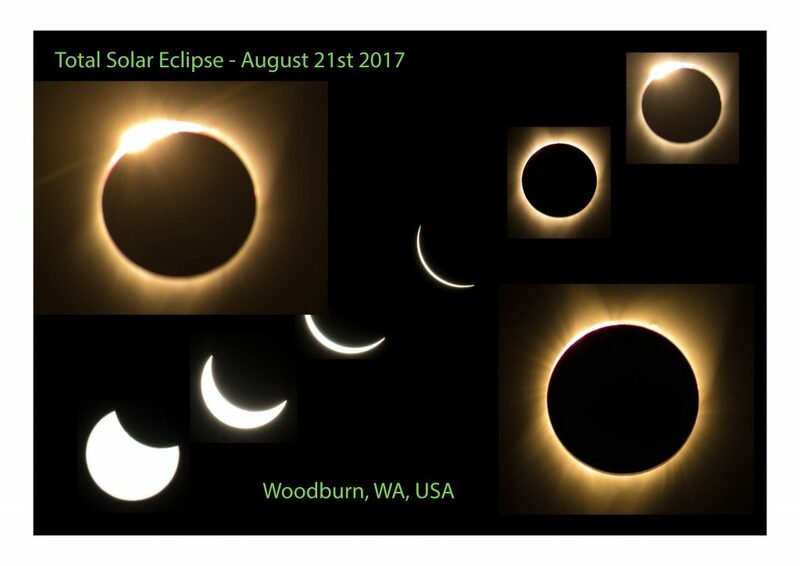 So, the chance to visit their daughter in Seattle to celebrate Conrad’s 70th was one not to be missed … and the promise of a glimpse of a magnificent total eclipse was further inducement to cross continents for the experience of a lifetime. Con and Rose Walker share a snippet of their wonderful journey. My daughter, Tamara, resident in Seattle on the West Coast of the USA, organised a celebratory gathering of our many North American friends. There was much to be celebrate: despite my health struggles, I had reached my 70th birthday; and we wanted to commemorate the 20th anniversary of our dear son’s passing. 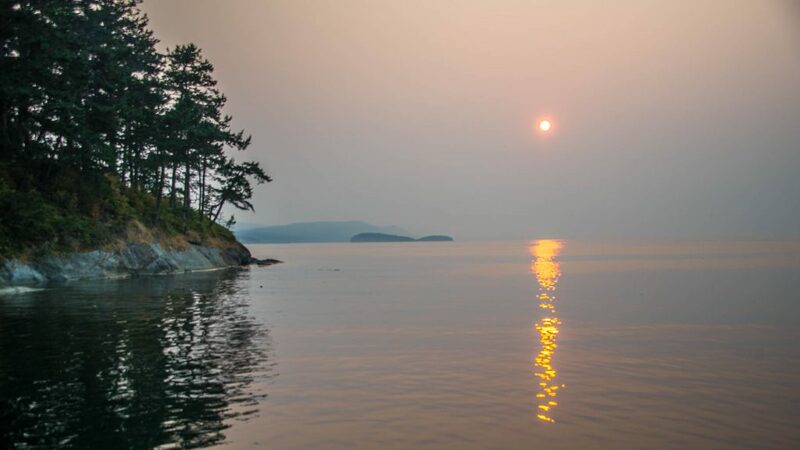 Tamara, knowing my love of sailing, planned a sailing trip among the San Juan Islands in the Seattle area. 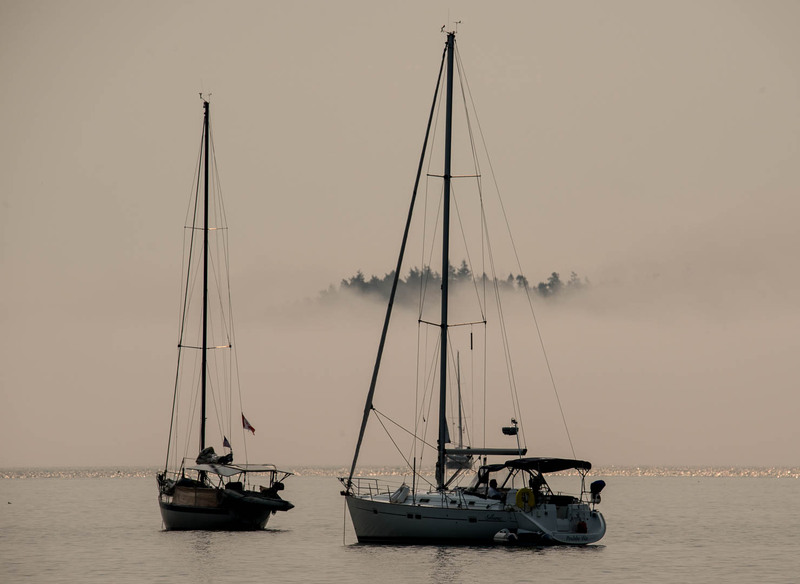 We embarked on the 44 ft sloop, Akimbo, at Friday Harbour on San Juan Island. Jon, for whom Akimbo, moored in a Seattle Marina, is home, was our operator. The weather was perfect, but the haze from the huge forest fires burning in British Columbia obscured the normally magnificent views of the surrounding snow-capped mountains – Mt. Baker, Mt. Rainier and the Olympic and Cascade ranges. The haze gave an eerie quality to the light, resulting in spectacular sunsets. Our route through the San Juan Islands took us to Stuart Island for our first night, searching for whales up towards Saturna Island in Canada. We hiked across Stuart to its historic lighthouse, buying T-shirts on the honour system (please mail your check to….!). We were fortunate to see a humpback whale and many harbour porpoises and seals. The usual pods of Orcas were not in the area where their main food source, Chinook salmon, have been very scarce this summer. Following our second night at Sucia Island with its lovely bays, inlets and walks on the shore, we went to tiny Patos and its fascinating lighthouse. Though August usually sees little wind, we were blessed with amazing sailing – close reaches to the northwest, broad reaches to east and west, and a lovely run downwind with spinnaker flying. Our fourth night was at East Bay on Orcas Island, where we caught up on groceries and email in a cute little town. We made our way to the east side of James Island for our final night and were treated to a lovely walk through its old growth forest. Sadly, it was time to return to Anacortes on Fidalgo Island to disembark and drive to Langley on Whidbey Island. By Sunday 20th, we were getting reports of heavy traffic and gathering crowds for the eclipse and were getting concerned about how our plan to see it would unfold. Rose and I and friends Ken and Mary decided to proceed by stages: first, could we make it through the traffic to Portland from Seattle, and if so, could we get to the path of totality on Monday morning? We had a plan B to view it from a friend’s patio in Portland where we would have 97% totality. The Seattle-Portland traffic was heavy but we made it to Portland by 3pm. The receptionist was not very encouraging, saying it could be 5 hours to Salem if we left early in the morning! We decided check Google traffic in the morning to see if we could make it to the nearest point of totality in the little town of Hubbard, 50 km to the south. At 7am, the TV was showing chaotic roadside scenes towards Salem but Google was reporting an hour’s travel to Hubbard so we breakfasted and got away about 8am, reaching Hubbard at 9am. We encountered a few groups of viewers sitting in fields or by the roadside, and briefly stopped next to a peach orchard, but decided to carry on to Woodburn, and about 9:30am, we found a park with a few dozen folks sporting solar glasses on lawn chairs. We simply parked and set up next to our car, but discovered that we had somehow misplaced 3 of our 4 pairs of glasses. Rose and Mary remarkably came across a man offering 3 spare pairs! Thus equipped, we began watching the eclipse, by now with a small bite out of the sun. With time, it became noticeably darker and colder and then, at about 10:15am, it became totally dark, the street lights came on and I was no longer able to see the controls on my camera, which needed a complete exposure change. I had one minute to get it sorted and get some pictures! 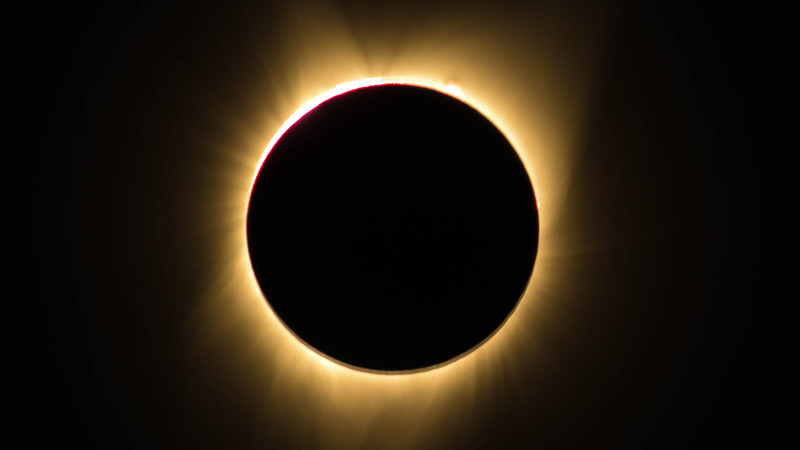 Fortunately I was able to get the corona at totality and the diamond ring effect. The traffic on return was totally choked up but after an hour or so it began to clear and we easily made it back to Langley by 5:00pm. The dire predictions of millions of viewers, including petrol shortages, simply did not materialise for us. Shades of Y2K! What a remarkable experience: my first total eclipse encounter.